Tropitone Brazo Sling Chaise Lounge with Aluminum Frame, 28.5 lbs. Our Tropitone Brazo sling chaise lounge gives a modern appearance to hotels, resorts, and country clubs. 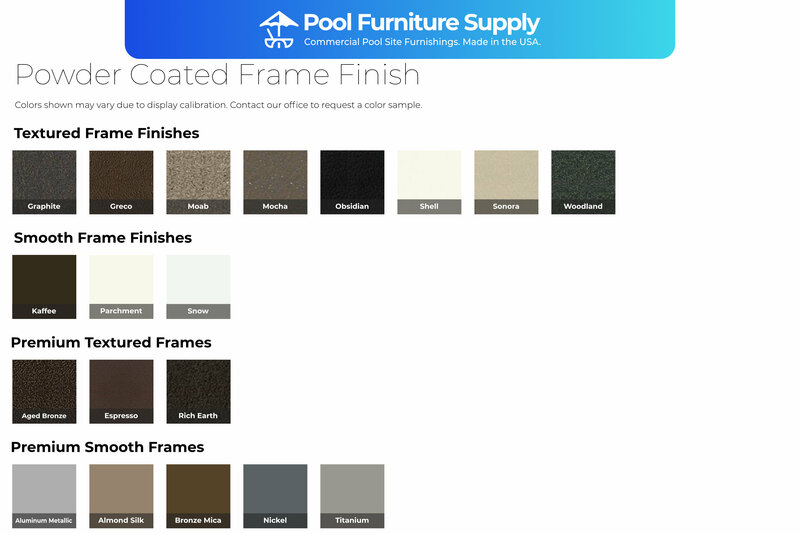 Choose the faux wood arm cap finish to complement your furniture and poolside scheme. Fitted with a taut sling that comes in a large variety of colors. The squared frame is made of powder-coated aluminum that will give many years of faithful service in commercial settings. 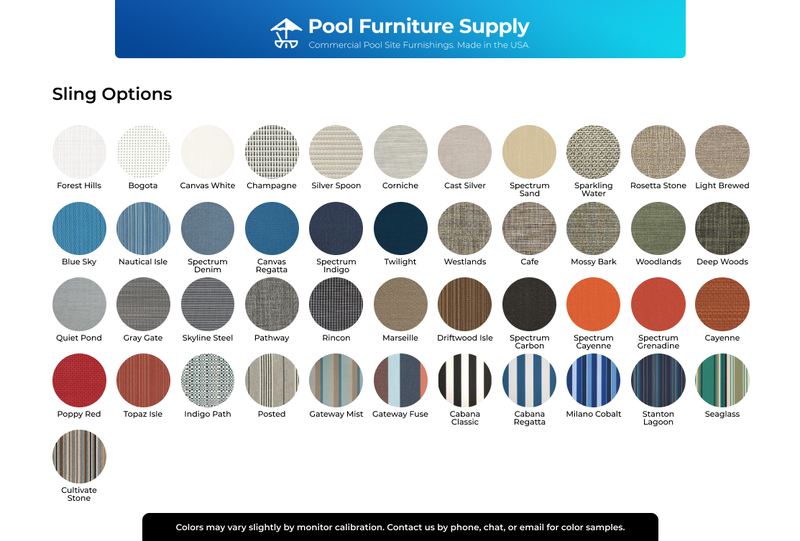 Furnish your entire patio with the Kenzo collection at a reduces price, by requesting a quantity discount quote from Pool Furniture Supply! Tropitone Brazo Sling Dining Chair with Aluminum Frame, 14 lbs.